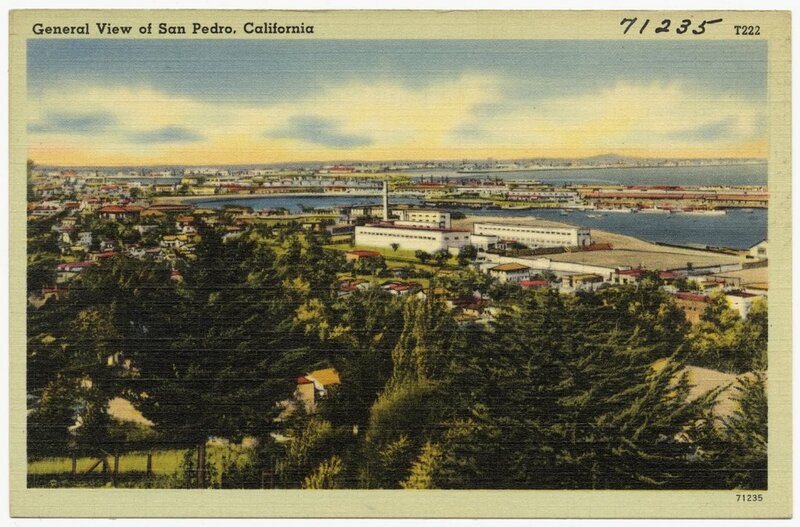 Sitting at the southernmost tip of Los Angeles is San Pedro (pronounced san-PEE-dro). Formerly a separate city, this community was consolidated with Los Angeles in 1909, but still has that small town feel. 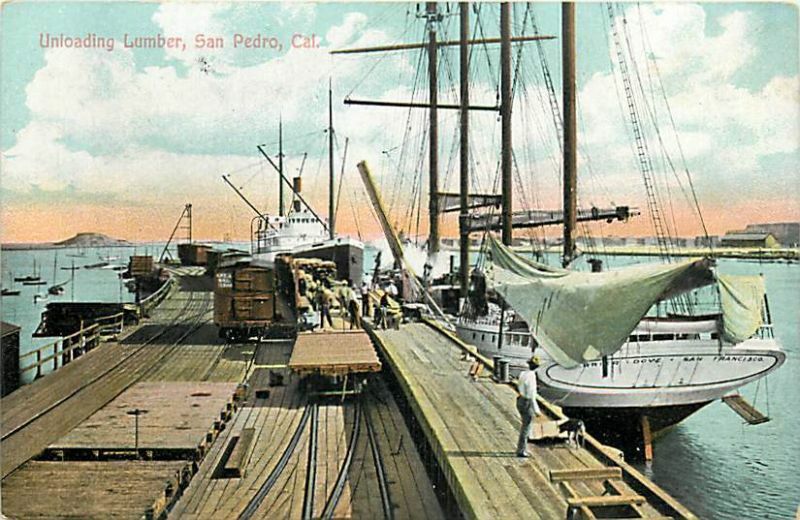 “Pedro” (as it’s called by locals) includes a large working class community that is centered around the Port of Los Angeles, a major international seaport. 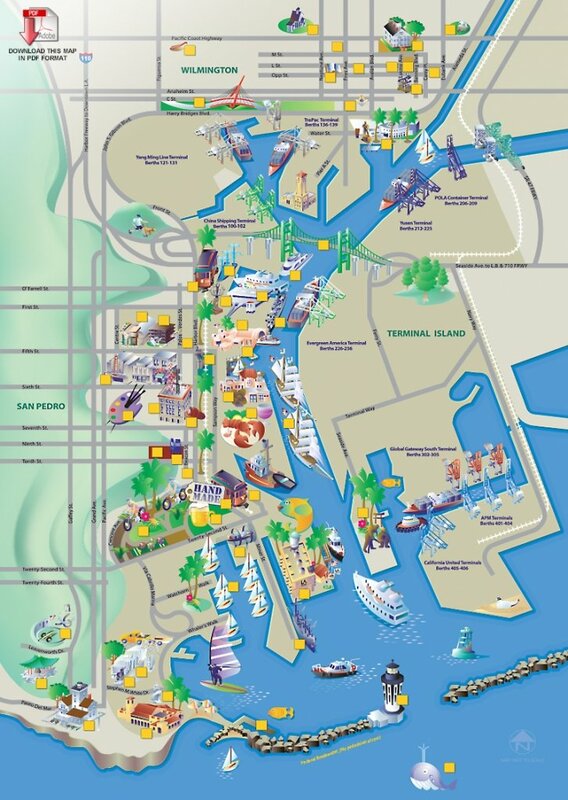 The Port of LA, together with the Port of Long Beach, make up the largest port in the United States. Pedro’s seaside locale has always played an important role in its rich history. The fishing and canning industries were big in the early 20th century. What is now known as the Southwest Marine complex at Terminal Island, played a key role in both World Wars, setting world records for quick production of ships for the war effort. This helped establish Los Angeles as a world port. Now, SpaceX will be moving into the Southwest Marine shipyard where they’ll be building rockets capable of interplanetary travel. Initially, the company plans to erect an 80,000-square-foot facility on the 19-acre site, but the complex can eventually be expanded to over 200,000 feet. At re-purposed warehouses along the East Channel, AltaSea is bringing together leaders in science, business and education to conduct breakthrough research and generate innovative solutions to environmental problems and sustainability. Recently, Boeing Company and AltaSea reached an agreement for Boeing to occupy Warehouse 60 to operate its Echo Voyager, an unmanned undersea vehicle. These innovation-based industries will help transform San Pedro, accelerating scientific collaboration, facilitating job creation, and inspiring the next generation into STEM professions. San Pedro, and all of the Palos Verdes Penisnula, was the homeland of the Tongva-Gabrieleño Native American people for thousands of years. When Portuguese explorer Juan Rodriguez Cabrillo sailed into San Pedro Bay in 1542, he named this natural harbor Bahia de los Fumos or Bay of Smokes Smoke because of the fires that were set by the Tongva-Gabrieleño for hunting game on the hillsides. European settlement began to accelerate in 1769 as part of an effort to populate California. 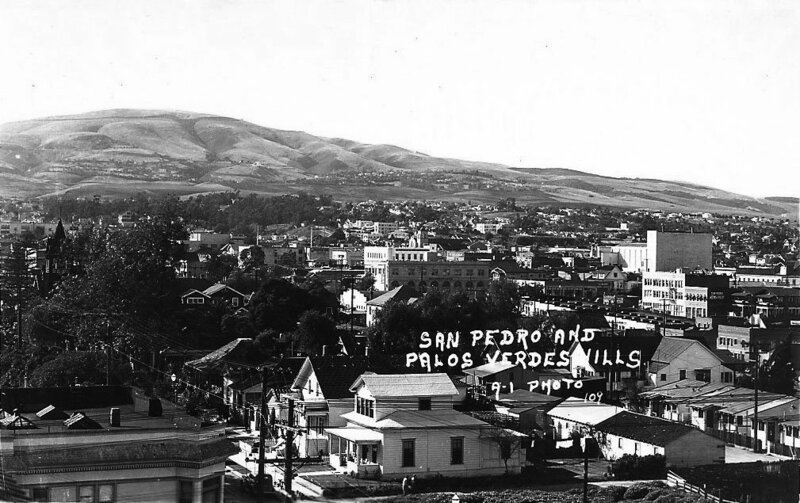 Ethnically diverse San Pedro was a magnet for European immigrants from many countries. This is reflected in the number of restaurants around town representing diverse cuisines, especially Croatian, Portuguese, Mexican, Italian, Irish and Greek. Directory of San Pedro utilities and public services. View our South Bay Events Calendar for upcoming activities around town, or sign up for our Weekly Newsletter! View homes for sale in San Pedro. 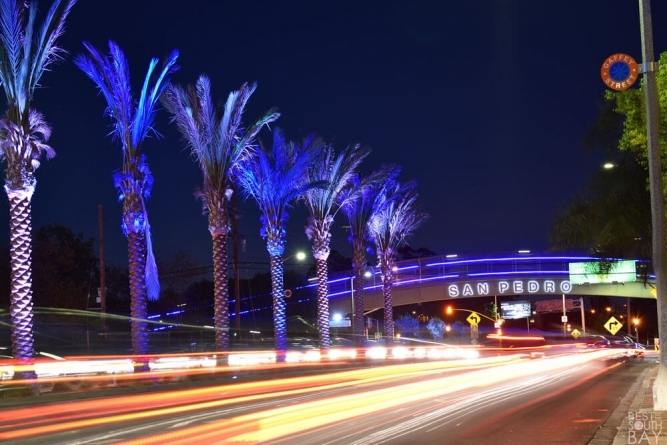 View current Real Estate statistics for San Pedro. 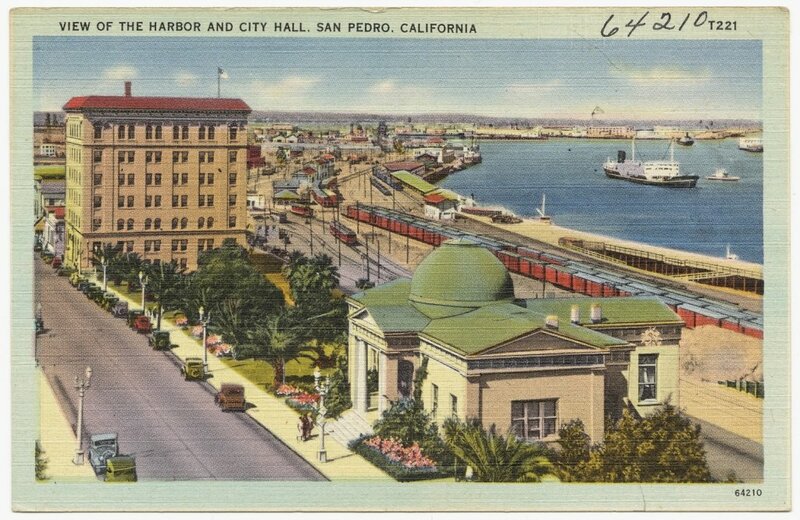 View San Pedro Photo Gallery.